is committed to providing our clients affordable service and complimentary amenities. Send an email or call Palace Inn Kingwood to schedule a relaxing stay at our fabulous Kingwood, TX inn. 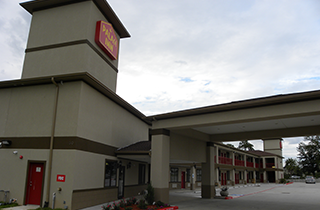 Schedule a stay at our Kingwood, TX motel with one of our representatives at Palace Inn Kingwood. Our Kingwood, TX hotel has very close access to public transportation and outdoor activities for your convenience, including golfing and hiking. 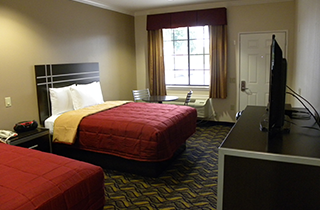 Contact Palace Inn Kingwood to learn more about our hotel room rentals. 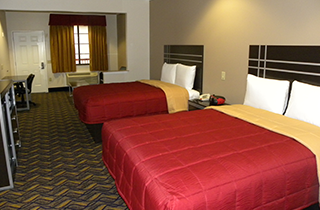 We offer free HBO, satellite TV, and Wi-Fi in all of our hotel and motel rooms with no hidden fees. Do you want a home away from home for a little while? 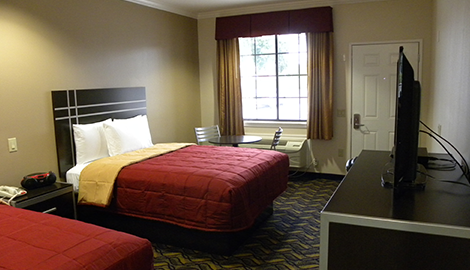 Palace Inn Kingwood offers ideal, short-term and long-term hotel and motel rooms just for you. Our magnificent rooms are equipped with all the amenities you could possibly need, including amazing room service. It can be hectic to book a hotel or motel. If you want a calming, affordable room for a week or more in the vicinity of the Kingwood Golf Course, Deerwood Mall, and even the George Bush International Airport, we are confident that you will love your stay with us. Sometimes, a room can be so wonderful that you want to rent it for longer. 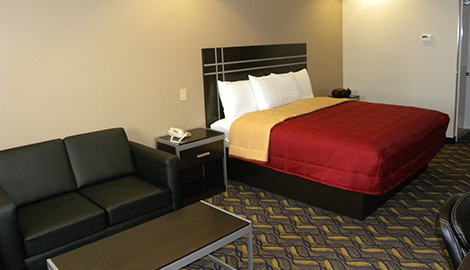 If you decide to change your travel plans, our hotel staff is accommodating to your schedule. If you would like to change your stay from a short-term to a longer-term period, let our staff know as soon as you can and we will make accommodations for you. All of our rooms are very well maintained with the complete amenities a business or leisure traveler may need, including free HBO, free Wi-Fi, LED HD satellite TV, and in-room coffeemakers and irons in every room. You can start with us by giving us the size of your party and type of room, then you will be one step closer to staying in the beautiful Palace Inn Kingwood! Palace Inn Kingwood offers luxurious and affordable accommodations that are even handicapped accessible. Do comfort and convenience interest you? Well, our slogan is “comfort for less! !” We believe that Palace Inn Kingwood is an option that provides travelers amazing accommodations for an accessible price. One should not have to be a millionaire to stay at a luxurious and friendly hotel. Your stay with us will be wonderful. 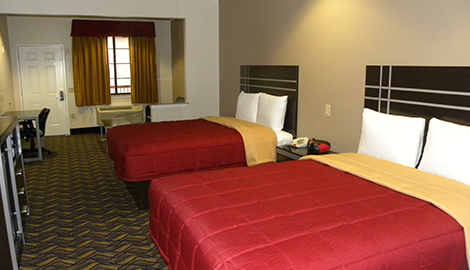 Our hotel and motel rooms will excel all of your expectations, guaranteed. Reach out to us to book a room. Our elegant hotel will be a wonderful compliment to your stay in Kingwood, TX.